To Kaldarasha, try this shader .. 2 effect only, inform me if it still same, I hard to figure out .. because I can't see what mirror bug is it.. try don't enable fbo.. try not using external_size in ff7 config. ## If you just want to play the game, these are the only options you'll want to change. # plugin used to play music, VGMstream requires a set of looping .ogg files in the music/vgmstream folder. # If no music plugin is loaded the game will play MIDI as usual but FF7Music will NOT work. ## All the little extras that weren't part of the original game, default options include only trivial bug fixes. ## Don't fiddle with these unless you know what you're doing. ## These options are mostly useful to modders and should not be enabled during normal play. BTW. I use the reunion mod, which I won't disable since it fix the damn game in many places. I guess I test which of the 3 replaced shader files are responsible for the bug. It's vert.fx, which is causing the trouble. Thank you, .. now I replace that vert and frag and using original one... here the version 1.05 ..some effect i remove since maybe no one will using them ..
Now it's perfect! 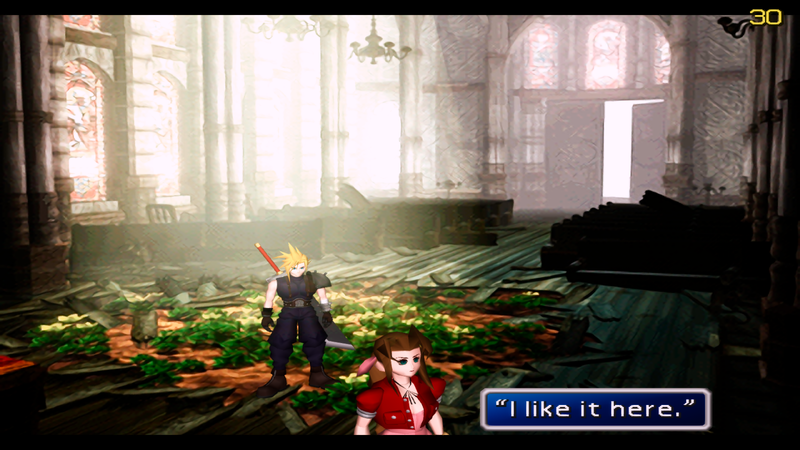 Well, not really I would like this psx color mode back (NTSC_TV_EMULATION). How do i use this? Put it in the shader folder or the root? Any suggestion before I release version 1.06? Do you observe my computer somehow? I currently sitting hours on my PC and does play with the shaders (I have back ported the NTSC_TV_EMULATION ). I would love to see a screen ambient shader but I don't know if it will have the same strawberries performance as with reshade. I see that you are familiar with tis site. Depth of field i already include in v 1.06, i can add ssao or hbao and remove that depth of field.. i want to know if someone like crt or scanline.. godrays etc.. and what is strawberries mean ? Ask Covarr, it is his gag. Depth of field and AO sounds interesting. I prefer a dotmask over scanlines though. You can disable forum censorship in user settings to show it as the original swear word. I thought this would be more creative than ****. It's really a nice shader combination you have adapted for Aali's driver. Here is my setting with the port back of the PSX color mode. #define USE_FXAA 0 //# [0 or 1] FXAA Fast Anti-aliasing : Smoothens jagged lines using the FXAA technique. #define GAMMA_CORRECTION 1 //# RGB Gamma Correction. Fixed expansion to variable compression gamma correction curve. #define BLENDED_BLOOM 1 //# High Quality SP Bloom. Soft lighting with blending techniques, for a natural looking bloom. #define SCENE_TONEMAPPING 1 //# HDR Scene Tonemapping. Layered component conversion, and applies scene tone mapping. #define COLOR_CORRECTION 1 //# Component Color Correction. Colorspace conversion, with correction curves, and multiple palette types. #define CROSS_PROCESSING 0 //# Filmic Cross Processing. Alters the tone of the scene, crossing the game's color set, with another. #define COLOR_GRADING 0 //# Post-Complement Colour Grading. Alters individual colour components on a scene, to enhance selected colour tones. #define USE_SCANLINES 0 //# Scanlines to simulate the look of a CRT TV. Typically suited to sprite games. #define NTSC_TV_EMULATION 1 //# SimoneT's TV Colors Emulation Shader. 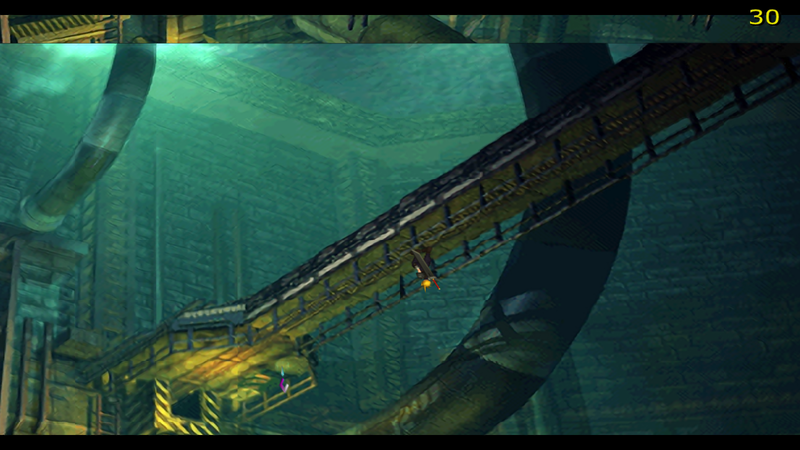 Use to emulate the original PSX color space tone, and vibrancy. #define BloomType BlendAddGlow //[BlendGlow, BlendAddGlow, BlendAddLight, BlendScreen, BlendLuma, BlendOverlay] The type of blended bloom. Light<->Dark. #define BloomStrength 0.200 //[0.000 to 1.000] Overall strength of the bloom. You may want to readjust for each blend type. #define BlendStrength 1.000 //[0.000 to 1.000] Strength of the blending. This is a modifier based on bloom. 1.0 equates to 100% strength. #define BloomDefocus 2.000 //[1.000 to 4.000] The initial bloom defocus value. Increases the softness of light, bright objects, etc. #define BloomWidth 3.200 //[1.000 to 8.000] Width of the bloom. Adjusts the width of the spread and soft glow. Scales with BloomStrength. #define BloomReds 0.040 //[0.000 to 1.000] Red channel correction of the bloom. Raising will increase the bloom of reds. #define BloomGreens 0.030 //[0.000 to 1.000] Green channel correction of the bloom. Raising will increase the bloom of greens. #define BloomBlues 0.020 //[0.000 to 1.000] Blue channel correction of the bloom. Raising will increase the bloom of blues. #define TonemapType 2 //[0|1|2|3] The base tone mapping operator. 0 is LDR, 1 is HDR(original), 2 & 3 are Filmic HDR(slight grading). #define TonemapMask 1 //[0 or 1] Enables an ALU tone masking curve. Produces a nice cinematic look. Suits some games more than others. #define MaskStrength 0.10 //[0.000 to 1.000] Strength of the tone masking. Higher for a stronger effect. This is a dependency of TonemapMask. #define ToneAmount 0.360 //[0.050 to 1.000] Tonemap strength (tone correction). Higher for stronger tone mapping, lower for lighter. #define BlackLevels 0.000 //[0.000 to 1.000] Black level balance (shadow correction). Increase to deepen blacks, lower to lighten them. #define Exposure 1.000 //[0.100 to 2.000] White correction (brightness). Higher values for more scene exposure, lower for less. #define Luminance 1.000 //[0.100 to 2.000] Luminance average (luminance correction). Higher values will lower scene luminance average. #define WhitePoint 1.075 //[0.100 to 2.000] Whitepoint average (wp lum correction). Higher values will lower the maximum scene white point. #define CorrectionPalette 1 //[1|2|3|4|5] The colorspace palette type. 1: RGB, 2: YXY, 3: XYZ, 4: HSV, 5: YUV. Each one will produce a different combination of shades & hues. #define ChannelR 1.40 //[0.00 to 8.00] R(1), Y(2), X(3), H(4), Y(5) component channel varies with the colorspace used. Higher values increase correction strength. #define ChannelG 1.60 //[0.00 to 8.00] G(1), X(2), Y(3), S(4), U(5) component channel varies with the colorspace used. Higher values increase correction strength. #define ChannelB 1.80 //[0.00 to 8.00] B(1), Y(2), Z(3), V(4), V(5) component channel varies with the colorspace used. Higher values increase correction strength. #define PaletteStrength 2.00 //[0.00 to 4.00] The interpolated strength ratio between the base color, and the corrected color. Raise to increase saturation. #define FilmicProcess 1 //[1|2|3] The color conversion type for the cross process. 1: cool, 2: warm, 3: dusk. You can achieve different results with each. #define RedShift 0.50 //[0.10 to 1.00] Red color component shift of the filmic processing. Alters the red balance of the shift. #define GreenShift 0.50 //[0.10 to 1.00] Green color component shift of the filmic processing. Alters the green balance of the shift. #define BlueShift 0.50 //[0.10 to 1.00] Blue color component shift of the filmic processing. Alters the blue balance of the shift. #define ShiftRatio 0.50 //[0.10 to 2.00] The blending ratio for the base color and the color shift. Higher for a stronger effect. #define RedGrading 1.20 //[0.00 to 3.00] Red colour grading coefficient. Adjust to influence the red channel coefficients of the grading, and highlight tones. #define GreenGrading 1.10 //[0.00 to 3.00] Green colour grading coefficient. Adjust to influence the Green channel coefficients of the grading, and highlight tones. #define BlueGrading 1.10 //[0.00 to 3.00] Blue colour grading coefficient. Adjust to influence the Blue channel coefficients of the grading, and highlight tones. #define GradingStrength 0.25 //[0.00 to 1.00] The overall max strength of the colour grading effect. Raise to increase, lower to decrease the amount. #define Correlation 1.00 //[0.10 to 1.00] Correlation between the base colour, and the grading influence. Lower = more of the scene is graded, Higher = less of the scene is graded. #define Lines 272.0	//[default 272.0] For use with arcade conversions such as SFA3, Darkstalkers or Metal Slug. 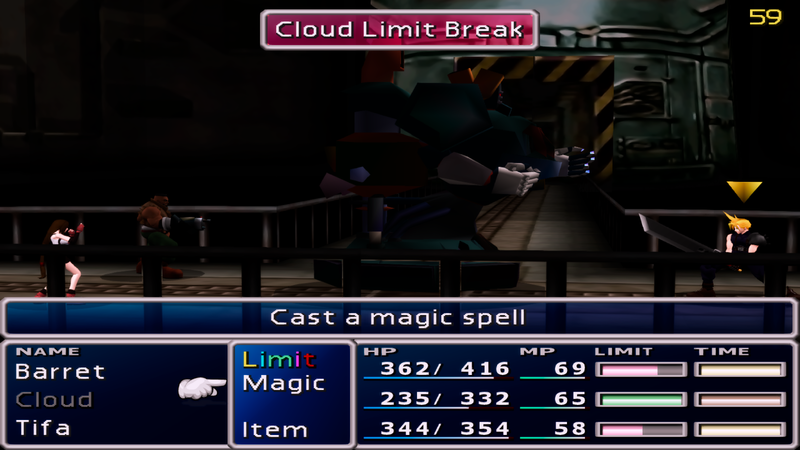 Change this to 224.0 and change PPSSPP's internal rendering resolution by 2x, to align the scanlines to the game's original arcade resolution. #define yRES_u 1088.0	//[default 1088.0] keep in mind the PSP's odd 16/9.06667 screen ratio. Here the Shader V1.06 for testing only, I havent put all code here because before I process to complete it I want someone to test it if have problem incompatible with this shader .. Doesn't work on my end. 0(803) : error C7011: implicit cast from "vec4" to "vec3"
0(872) : error C7011: implicit cast from "vec4" to "vec3"
0(911) : error C7011: implicit cast from "vec4" to "vec3"
0(913) : error C7011: implicit cast from "vec4" to "vec3"
Thank you for the feedback .. mean i have to stick with 120 version only .. well .. i will change again all of the code soon .. The left hand side picture is how the game should look [ignore the right side]. The PSX version. Your shader is the closest thing I've seen for a fix to make the game appear as it did there, but it clearly needs a few tweaks (slight pixellation in the backgrounds, colour is off, gamma is off). Are you still working on this? tbh I think the PC colour is better. After all, the PSX was limited in ways that the PC isn't. I've enabled FXAA on its own. There is a slight error here... a tearing type artifact happens as you move about screen. Edit. Disregard (apart from tearing issue). I've tweaked it and it looks very good. Will upload soon to bug thread. I've included this shader in The Reunion with my own values. Right: This shader with scanlines. As you can see, the PC version looks better than mednafen. 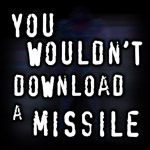 Suggest download and then view at 100%.